In a TB skin test, a small injection of tuberculin under the skin is used to determine if the subject has been exposed to tuberculosis. A persistent cough is a symptom of TB. A TB skin test is a test performed by a medical professional that determines if a patient has a disease called tuberculosis. Tuberculosis is an infection caused by bacteria that affects the lungs but can also spread throughout the rest of the body. 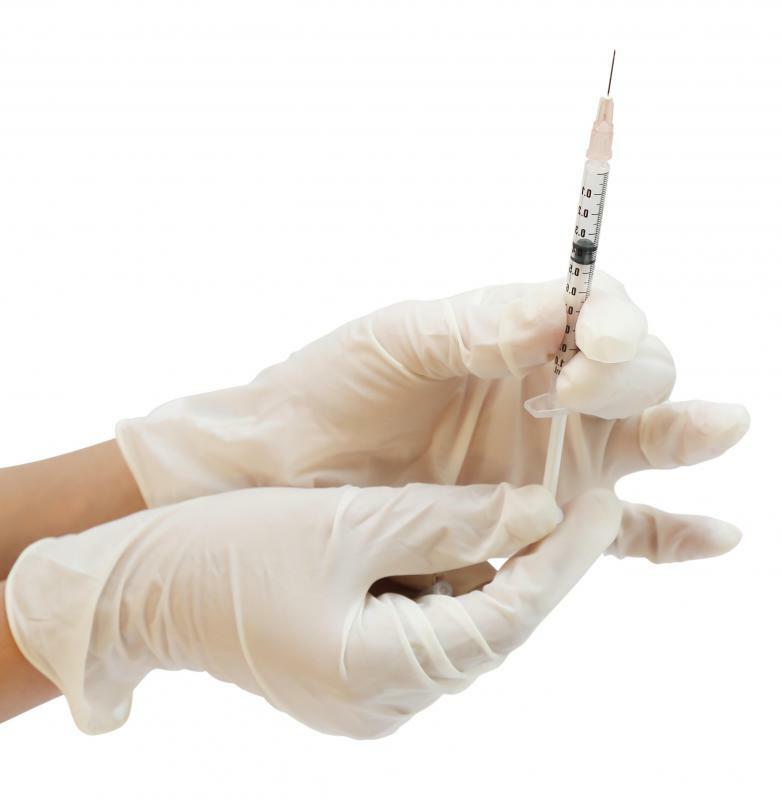 In order to perform the test on a patient, the health care professional injects a small amount of liquid called tuberculin into the patient's arm. After the fluid is injected, the patient leaves the doctor's office. When two or three days have passed, the patient returns to the doctor's office in order for the health care professional to check the injection site. If the patient has no bump or only a small bump, he or she has tested negative for TB. If the patient has a raised bump on the arm, he or she has experienced a reaction to the TB skin test. The medical professional will then measure the size of the reaction. A reaction means that the patient has tested positive for TB. In other words, TB bacteria are present within the patient's body. There are two types of TB, latent and active. Latent TB infections result when TB bacteria first enter the patient's body. If not treated, latent TB can transform into active TB. The active TB disease spreads throughout the body, damaging tissues and causing the patient to feel sick. The disease spreads to others when the person with active TB coughs, sneezes, talks, or even sings. This is because the germs are spread through the air. 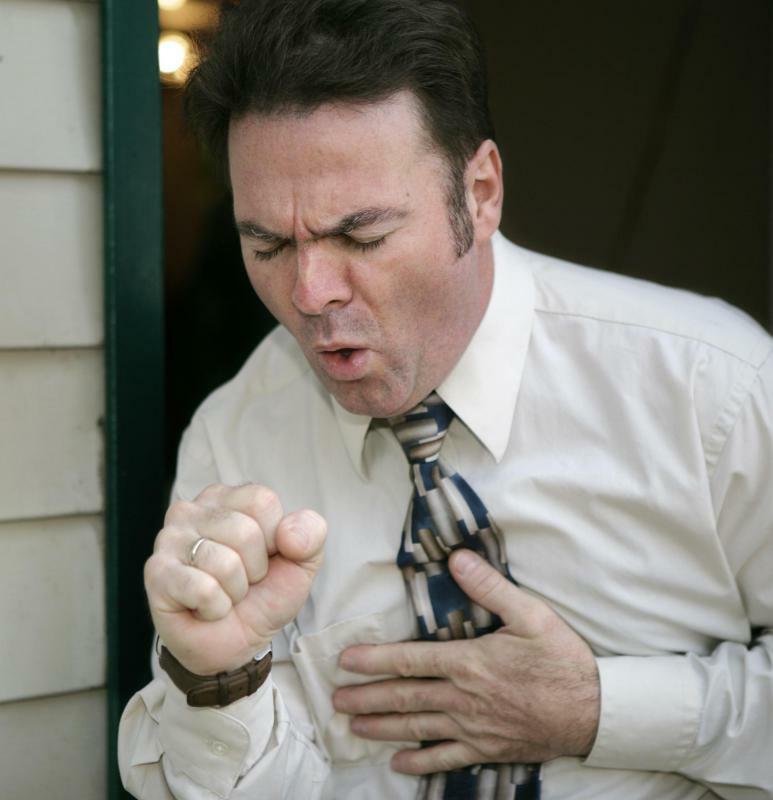 Individuals with active tuberculosis usually experience symptoms that include fatigue and a persistent cough. People infected with the TB bacteria may lose weight, suffer from fever, or experience night sweats. They may also have difficulty breathing. Patients who are infected with tuberculosis must receive medication in order to eliminate the infection. Doctors often prescribe antibiotics to patients who are infected with latent tuberculosis. The antibiotics are usually taken for six to 9 months until the infection is killed. Active TB is treated with several antibiotics, the most common being Isoniazid, Rifampin, Ethambutol, and Pyrazinamide. It's crucial that patients take all of the medication prescribed to them, being careful not to skip any doses. People who work in schools, nursing homes, medical facilities, prisons, and other places where dealing with the public is a day-to-day occurrence, should receive a TB skin test. Those who are HIV positive, have certain medical conditions, or have been exposed to someone with tuberculosis should also receive the TB skin test. If patients have developed active tuberculosis, they will need to undergo regular checkups for the rest of their lives in order to ensure that the tuberculosis does not return. These checkups include chest x-rays so that the physician can monitor the condition of the patients' lungs. What Are the Most Common Ethambutol Side Effects? What Factors Affect a Sufficient Isoniazid Dose? What Happens After a Positive Tuberculosis Skin Test Results? What can I Expect During a Tuberculosis Test? The result of mantoux test is 0mm. What does this mean?